Carcar is the pork capital of Cebu if I may say so. The town is ever so popular for its lechon and chicharon. And I found myself on my way there again. From the North Bus Terminal in Mandaue, me and my tokayo, Ivan Man Dy of Old Manila Walks, took a cab to the South Bus Terminal to catch a bus to Carcar where we were going to stay for the night. We were lucky since Jerry Alfafara, president of the Carcar Heritage Conservation Society, invited us to stay at his ancestral house. It was a two hour bus ride to Carcar. And as soon as we arrived, I noticed immediately one of the products which Carcar is famous for, chicharon! 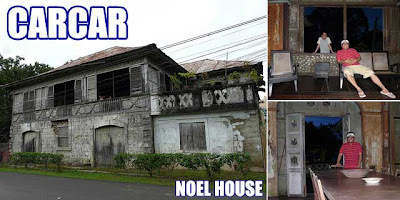 We walked over to the Noel Ancestral House where Jerry was waiting for us. After a short tour of the house (which I visited in 2006) and settling down in our room for the night, we had dinner. Lights out was early and we stayed in the room the whole night, scared that we might meet the other inhabitants of the house which have become part of the house's story. We survived the night without seeing or hearing any of them. The next morning, we took a walk around Carcar on the way to the Carcar Public Market where we planned to have breakfast. I didn't realize that there were more old houses further down the streets. At the market, we were greeted by the many lechon stalls which have made Carcar so prominent in the "heirarchy of pork" as Anthony Bourdain puts it. Yes, you could have lechon for breakfast! But we didn't. 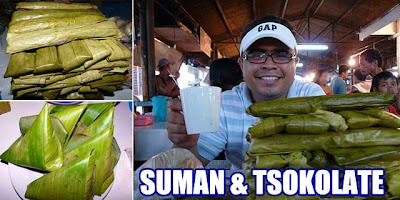 Instead we had hot chocolate and suman. But I'd like to thank Kagawad Bebie for giving us some lechon. Daghang salamat! We also visited a place where they make chicharon. They showed us the tub of lard they use to fry the pig skin in. Now talk about first class cholesterol! 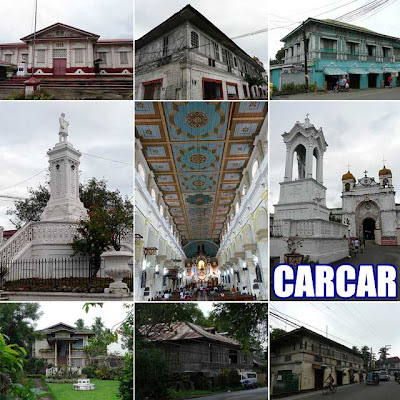 Carcar is indeed at town with so much character. 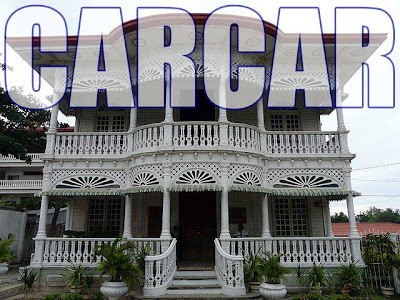 I hope the local government of Carcar realizes that and does not bastardize Carcar beyond recognition. Wala naman bumisita sa amin dun sa room. Hehe! Di kami lumabas ng room until nagka-araw. Haha! MANONG'S TASTY LECHON CEBU is now open for business in Manila. Now, Manilenos who crave for the taste of authentic Cebu lechon no longer have to order it from Cebu, it's already here! Infused with only the finest herbs and spices, Manong's Tasty Lechon Cebu boasts of the tasty and aromatic flavor that Cebu lechon is known and loved for. No special sauce is needed for this gastronomic delight that you and your family can now enjoy here in Manila. For orders, please call us at 7032133 or 0908-323-7727 and look for Roland Pañares. 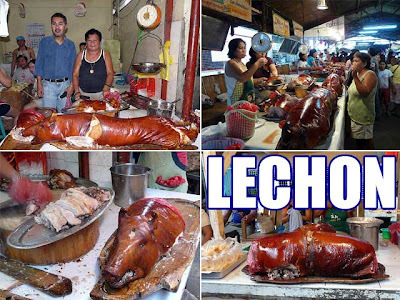 Yum yum yum... but I have to disagree, its not really carcar who makes the best lechon, but rather Talisay... there, the lechon is slaughtered at night and is roasted starting in the morning, if I remember correctly.... Well ,if u want to know where to eat litson, visit, Yummy-cebu.com!!!!! Saan ako pwedeng makabili sa Cebu ng Bulk Chicharon? I'm planning to re sell it kasi. 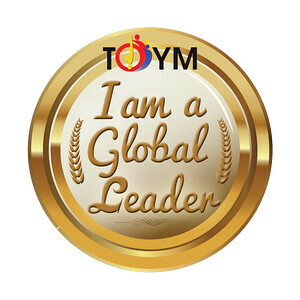 hope you can give me feedback at jazon.pulmano@gmail.com.. Thanks! 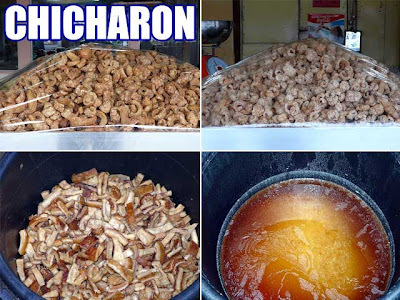 ivan, have you tasted best chicharon in carcar?